Escape the urban bustle at Pulpit Rock Lookout and Bondi to Coogee Beach Coastal Walk. 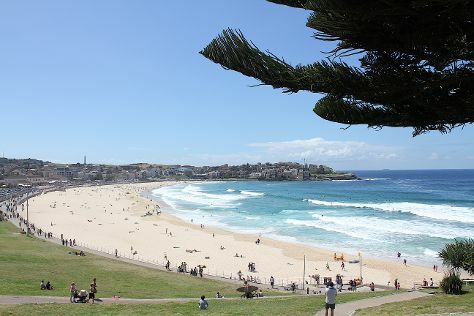 Relax by the water at Bondi Beach and Coogee Beach. You'll find plenty of places to visit near Sydney: Blue Mountains National Park (The National Pass & Lincoln's Rock), Wentworth Falls (in Katoomba) and Featherdale Wildlife Park (in Blacktown). Next up on the itinerary: wander the streets of The Rocks, see majestic marine mammals with a dolphin and whale watching tour, identify plant and animal life at Cremorne Reserve, and snap pictures at Sydney Harbour Bridge. To find where to stay, maps, more things to do, and tourist information, use the Sydney road trip planning tool . If you are flying in from United States, the closest major airport is Sydney Kingsford Smith International Airport. In August, daytime highs in Sydney are 66°F, while nighttime lows are 49°F. Finish up your sightseeing early on the 8th (Wed) so you can travel back home.